Well before beginning with the context I would like to quote that as per the estimates Hadoop market is going to reach a whopping 13.9 billion by the end of 2017. The above statistics alone is enough to state the prominence of Hadoop and it is well clear that over 56% of the major global companies have started to optimize their data integration applications through the Hadoop framework. The opportunities for effective employment in this field are quite immense. Big tech giants like Steve Jobs, Sundar Pichai view that a major share of global employment opportunities is going to be generated by within the Hadoop professional field. Alsop, the pay packages for skilled Hadoop professionals is very high in comparison with the pay packages of the present IT professionals. All these beneficial aspects for career made available within the field of Hadoop has helped in building a massive craze among the aspirants. Hadoop has become a buzz word across the industry. The ample opportunities for a career in the field of Hadoop are encouraging many freshers to drive their career path towards the career profession of Hadoop professional expert. Well, the fact is that coming out as a fresher turns out to be a bit hard to get placed as a Hadoop professional in a top-notching company without having an exposure to industry oriented training. In order to secure a job as a Hadoop professional one must attain knowledge regarding various aspects like involving Hadoop, Spark, Scala, Python, R NoSQL and traditional RDBMS’s along with a strong foundation in math and statistics. Also, it is must have skills in relation to effective problem solving and business analysis and analytics skills in order to succeed in the career profession of Hadoop. 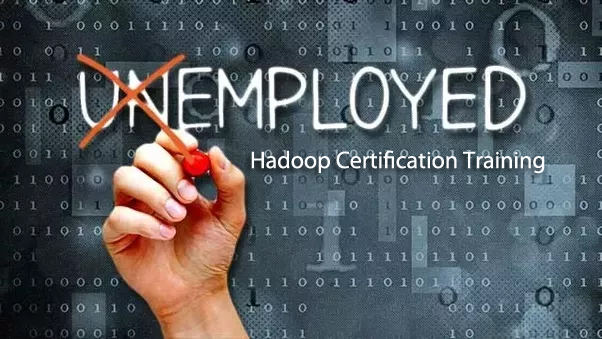 Top multinational companies like Amazon, Google, JP Morgan, and Microsoft, Accenture & Wipro are readily hiring the best skilled Hadoop professionals along with the best analytic skills. Also, start-ups like Fractal Analytics, Crayon Data, Sigmoid Analytics, and Heckyl are among the best organizations that are hiring the best skilled Hadoop professionals and freshers. Where Can You Attain Exposure To Hadoop Industry Oriented Training? Hadoop Training In Hyderabad offered by our Kelly Technologies provides in-depth knowledge to the aspirants by adapting to well advanced practical oriented training methodologies. Through our training, the aspirants can leverage their Hadoop industry oriented and as well as develop their analytics skills which are quite essential for succeeding in Hadoop professional career.